Every home improvement project comes with a contract. This serves as an agreement between you and your home improvement contractor. To ensure you have a complete understanding of what the project entails, it’s important that you check your contract for specific details. 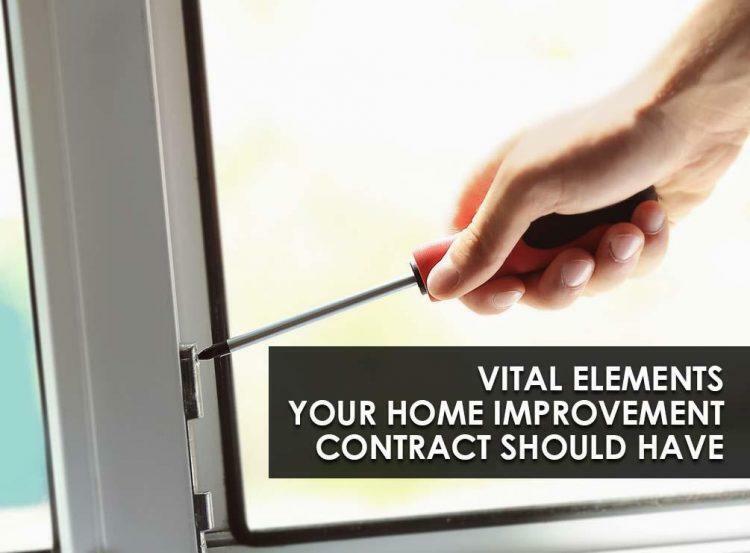 ClearChoice Windows and Doors, Inc, the expert in window replacement, discusses the vital elements your home improvement contract should have. Your contract should show what kind of project you and your contractor will be working on. It should also include the ones who will be directly working on it. Furthermore, it should indicate your responsibility to provide payment and access to your property. It should also have information as to what tools, materials, and services, your contractor will provide to complete the job. Make sure your contract gives a specific date as to when the contractor should start and finish the project. It should also show how and when a specialist can work on the job such as a window installation. At the same time, you should provide allowances in case of adverse conditions but should refuse unreasonable delays. Set payment dates whenever a certain amount of work gets completed. Keep in mind that you can hold back making any payments until your contractor finishes the project and only until you’re satisfied with it. Your contract should also show an itemized list of material and labor costs to ensure you know what you’re paying for. Your contract should state the responsibility of your contractor to secure the necessary regulatory permits, licenses, insurance, and other paperwork. Rest assured that you can count on us to prepare the necessary paperwork before installing your vinyl windows. These are some of the things that your home improvement contract should have. At ClearChoice Windows and Doors, Inc, we aim to meet your needs and ensure your satisfaction. You can expect us to provide you with all the important details of your project. We’ll also keep in touch to ensure a smooth and successful window replacement job. We serve residents in Rancho Cucamonga, Fontana, Riverside, and nearby areas. Call us today at 1-909-342-6299 for a FREE estimate.